I almost titled this post "what makes a self-published writer happy." The obvious answer would be sales, but I'm still dipping my toe in the water as far as that is concerned, but a big deal for me is when my book is reviewed. Of course, the five star reviews are nice, but I like three and four star reviews just as well, especially if they give me an idea why the book isn't perfect so I can think about improving myself. Also, I read somewhere that 3 and 4 star reviews are more likely to be clicked on than 5 star reviews. I'm still patiently awaiting my first 1 or 2 star review, but so far the people who haven't liked my book haven't bothered to tell me. 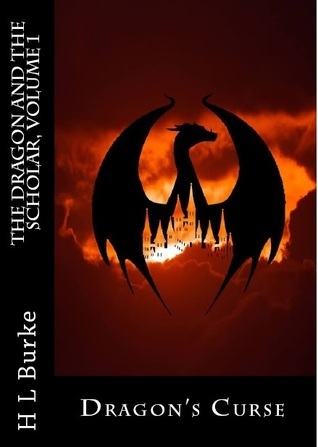 I'm giving away ten copies of Dragon's Curse via Goodreads and one through my blog (enter here). 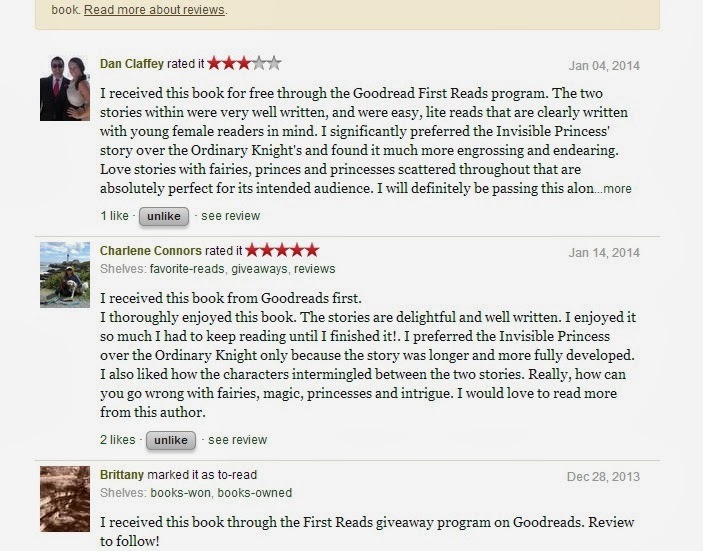 I gave away five copies of The Ordinary Knight and the Invisible Princess which has gained me two reviews so far. Giveaway ends January 26, 2014.